If you're looking to save money on driving there's no question that going electric will, almost always, save you money. According to EPA estimates, plug-in cars cost less to fuel -- often much less -- than gasoline or diesel powered cars. 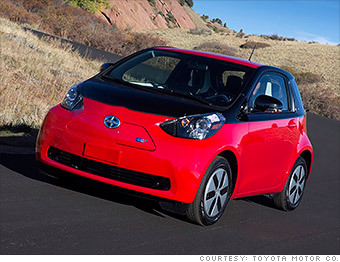 The Scion iQ EV is the cheapest to fuel, according to EPA data. But you shouldn't rush to your nearest dealer to buy one for yourself. The car is not for sale. Toyota is providing 90 cars to specific car-sharing programs.